A state dinner held by President Trump on Tuesday night featured a slate of prominent guests, including former Secretary of State Henry Kissinger, Apple CEO Tim Cook, media mogul Rupert Murdoch and House Speaker Paul Ryan (R-Wis.). Everything was perfect but the MSM tried to destroy the perfect party! 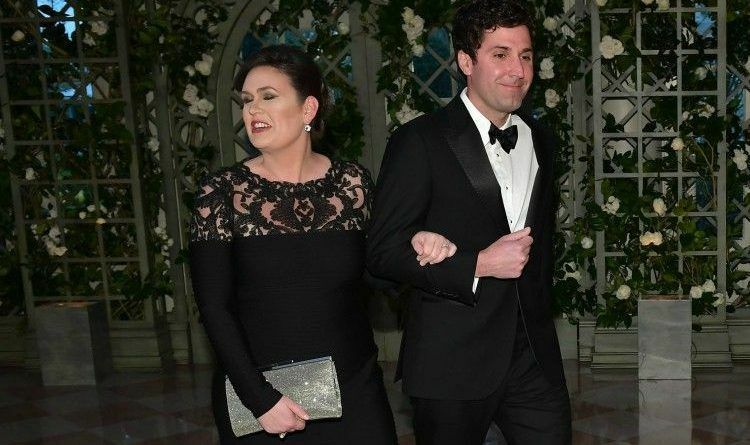 White House press secretary Sarah Huckabee Sanders attended the State Dinner with French president Emmanuel Macron last night and was complete class–even when the media tried to get political. Sanders reportedly told the media that she wouldn’t take any questions during the event. She clearly wasn’t going to let the media derail the first State Dinner under President Donald Trump. Do you like how Sarah responded to the MSM?